Great Britain's long wait for a home Fed Cup tie goes on after they were drawn against Japan in the World Group II play-offs in April. After topping their group in the Europe/Africa Zone, Johanna Konta and Heather Watson won both their singles matches as Britain beat Hungary 2-0 in their play-off to make it through to the World Group II play-offs for the second straight year. It means Anne Keothavong's side are one step away from the tournament's elite for the fourth time in the last seven years, but must hurdle Japan if they are to move into World Group II for the first time since 1993, while a loss would return them to next year's Europe/Africa Zone. They have fallen short on the previous three occasions, losing away ties to Sweden in 2012, Argentina the following year and Romania last year, when Ilie Nastase's shocking behaviour overshadowed a 3-2 victory for the hosts in Constanta. Nao Hibino, ranked 90, and world No 102 Kurumi Nara were the singles players in Japan's Asia/Oceania Zone play-off victory at the weekend, although they could have 50th-ranked Naomi Osaka, one of the most exciting young talents in the world, available in April. 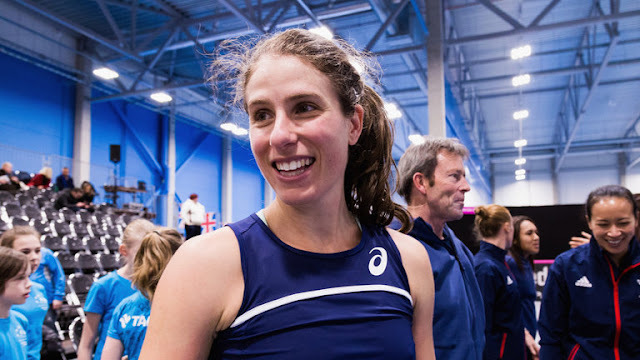 Barring illness or injury, Britain will be led by 11th-ranked Konta, supported by Watson, the world No 74 as they travel once again, making it 25 years since they have had a home tie. The play-off will take place on the weekend of April 21-22.